Need More Optical Inputs? 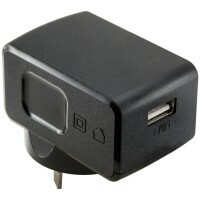 This Device Will Instantly Convert 1 Into 3! 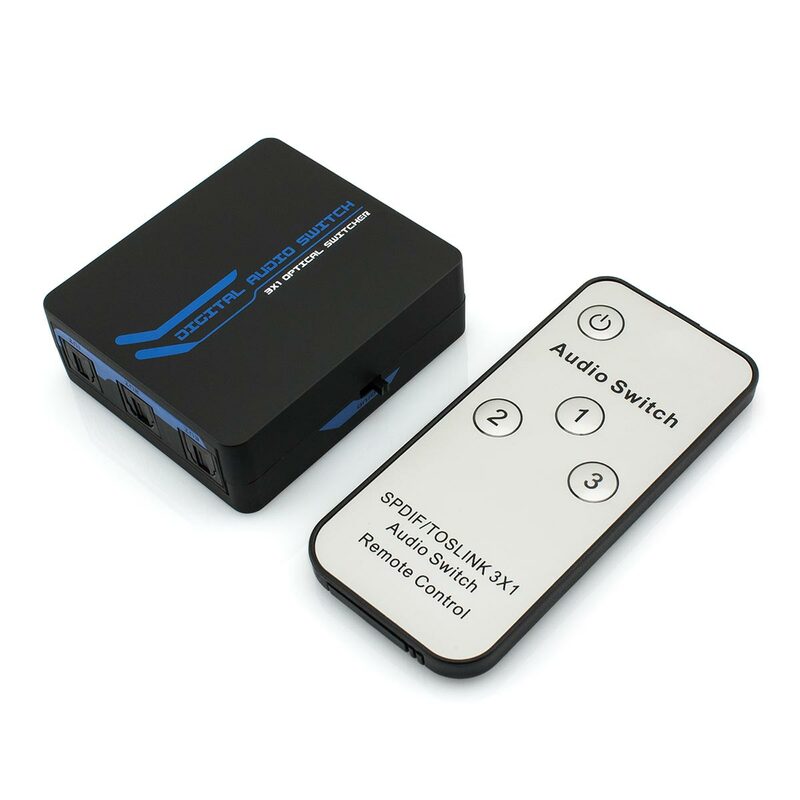 This incredible unit is the perfect solution to expand upon the available digital audio connections. With 3 optical inputs and 1 output, this compact device is an invaluable addition for a growing collection of technology. The included IR extender means that this unit can be neatly tucked away, leaving your entertainment area clean and tidy. With a simple press of the button on the infrared remote control, each source device can be instantly selected for seamless digital audio (S/PDIF) transmission. If preferred, you can also select each source device by pressing a button on the unit manually. 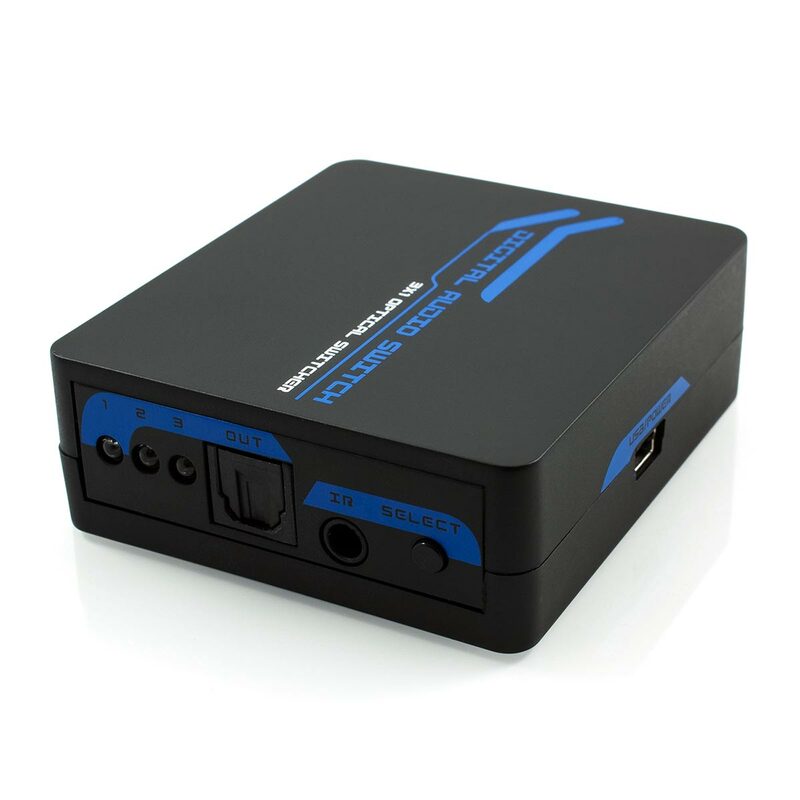 As this 3 Port Optical Switch is a powered solution, one of the main features is the integrated signal amplifier. 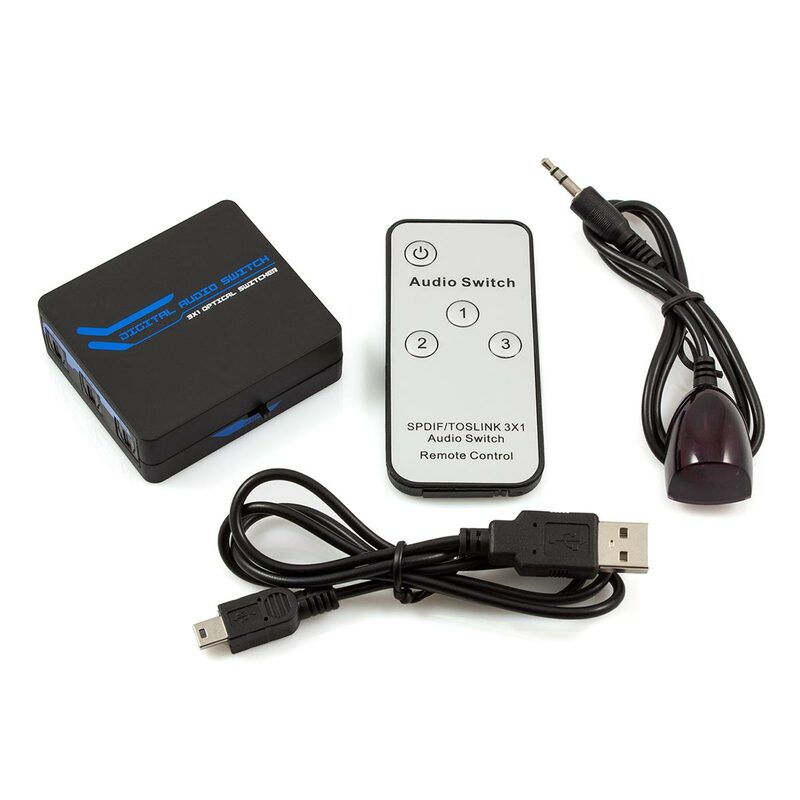 This not only ensures flawless audio reproduction but will supercharge the optical output to reach a staggering transmission distance of up to 40 metres.